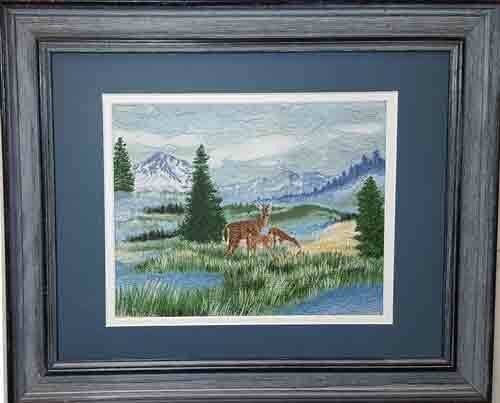 Using the same fabrics as in Alaska Wilderness, I created a smaller version but included more extensive machine embroidery and colored the water with wax pastels. This quilt is featured in my book, Quick Little Landscape Quilts. Copyright © 2019 · All images copyrighted by the artist, Joyce R. Becker, and are not to be copied, reproduced or distributed in any manner.